Discussion in 'Roller Door Help' started by MGD, May 6, 2011. 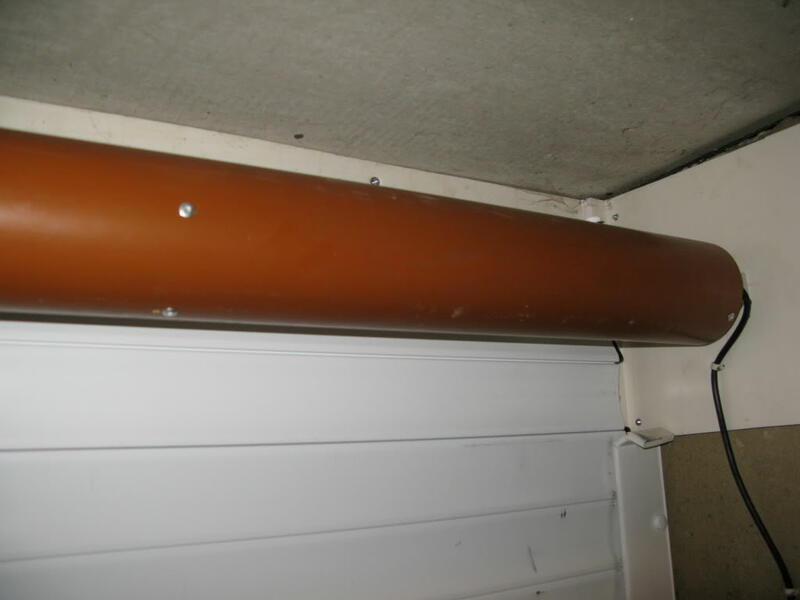 This is an advisory thread to let you know what you should not accept as a roller door. 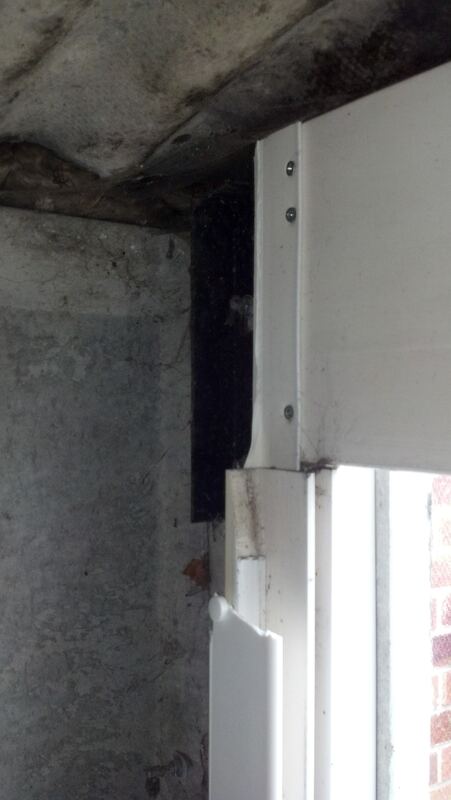 These images were taken by us when having to dismantle and dispose of a 'roller door' which was only 6 months old, and had caused the homeowner much distress and misery in those 6 months. 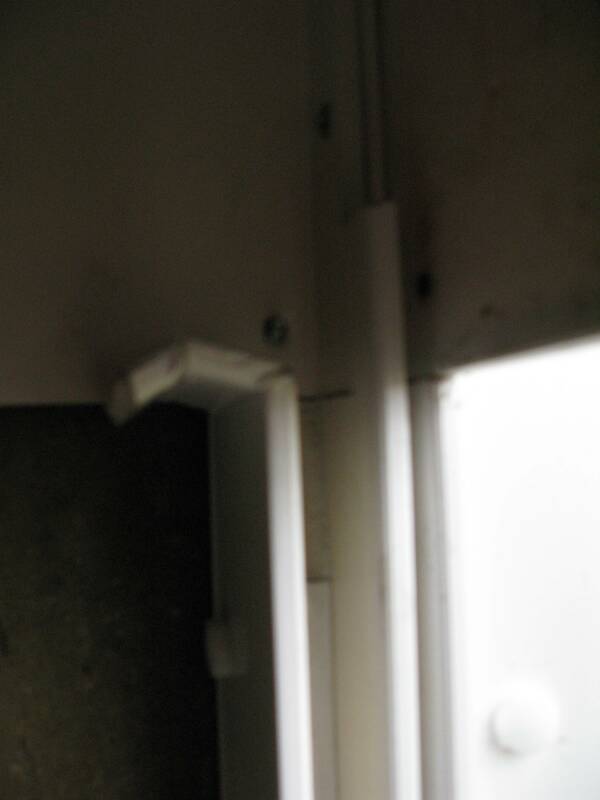 The image below shows the motor 'end plate' which the motor is fixed to, it is not clearly visible, but is made from 12" Upvc flat board (same as used on fascias/soffits !! 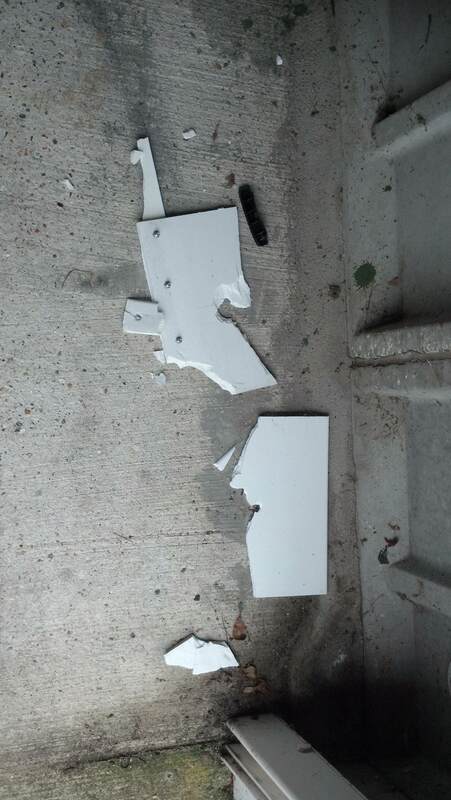 ), this is definitely NOT good enough, these 'end plates' should be made from either Steel or Cast Alloy, due to the strength required. 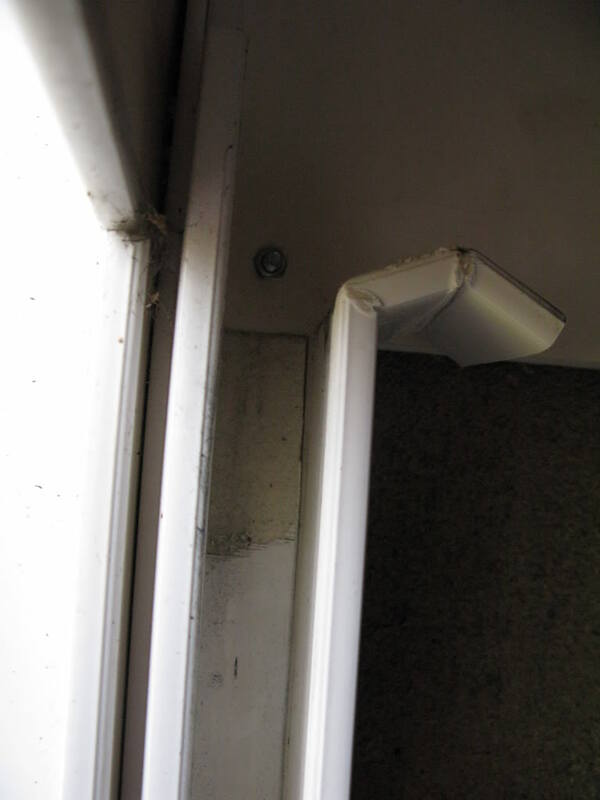 This next picture shows the 'Guide', this guide should be from an Extruded Cast alloy section, the cast alloy extruded sections allow for internal brush strips, which will exclude draughts from your garage, the ones in the images below are 'made' from 2 lengths of 95mm wide Upvc with a 1" x 1" internal Upvc strip to create the 'U' shaped guide, again, this does not offer much in the way of strength and also doesn't look that aesthetically pleasing. 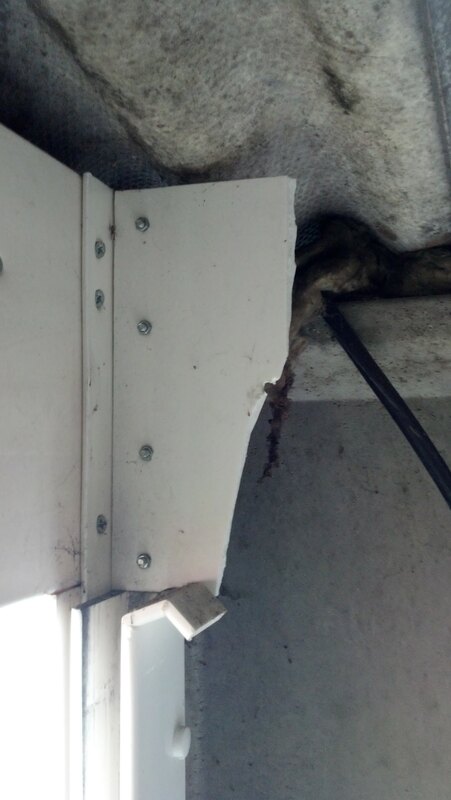 Next, this picture shows the centre shaft that the door curtain wraps around, have you seen this kind of Upvc tube before ? 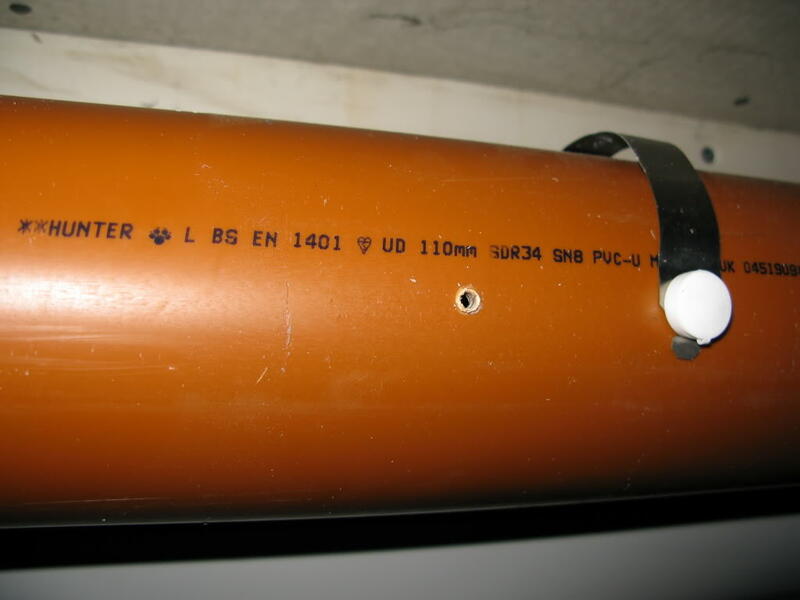 If you haven't, this is a Waste pipe, as used on your own home which takes your waste to your manhole etc. 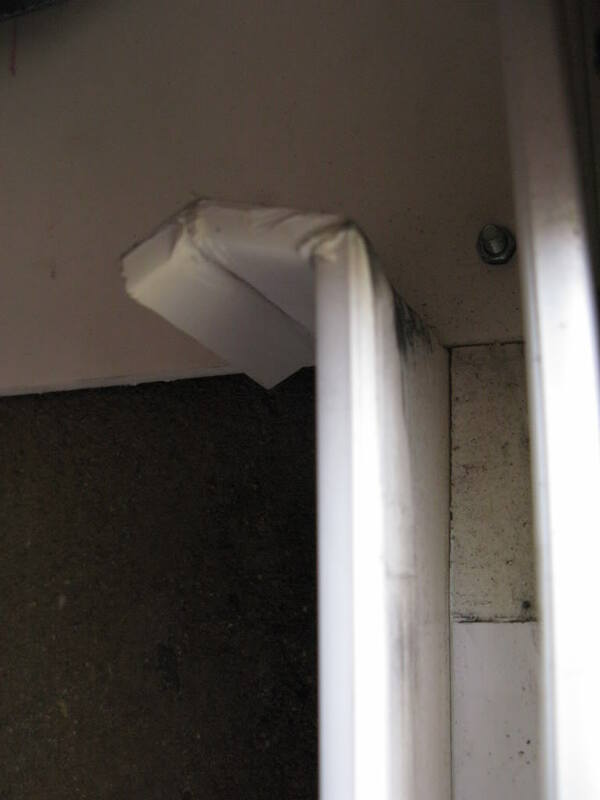 As usual, this is not the ideal shaft for a curtain, due to the lack of strength, what you will find on all decent roller doors is a Galvanised Steel Octagonal or Round centre shaft, this helps by being slightly smaller in diameter, BUT much stronger and fit for purpose. What you will also find (if you were to dismantle the whole door and remove this centre shaft) is that inside the centre shaft, is where the motor is housed, this motor can be a huge saving to a garage door installing company, typically, what is fitted within this 'cheaper' roller door is a very cheap and unreliable motor, sometimes only lasting 12 months, what ideally should be fitted is a Somfy (or similar quality) motor which is guaranteed for '5 years' by the manufacturer. 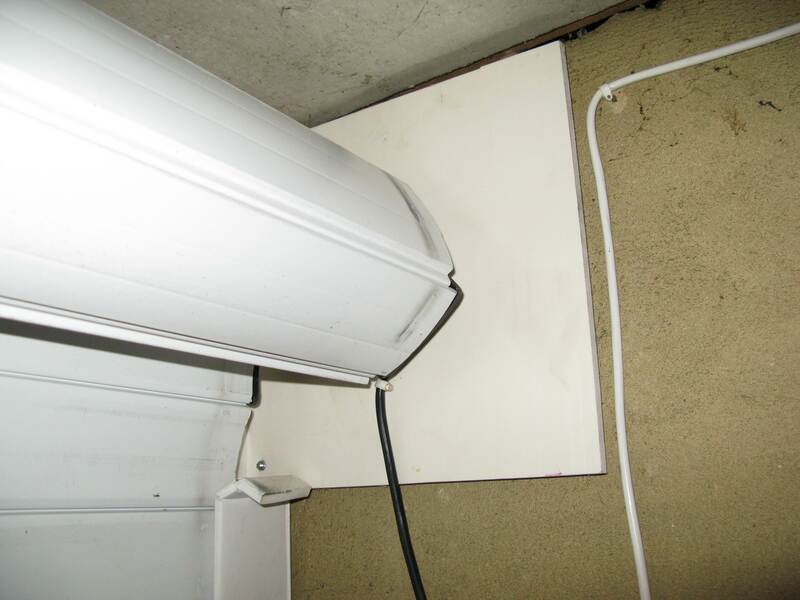 Please be wary of this kind of installation, as not only are the materials not fit the purpose for which they are being used, there are other underlying issues with this type of installation ie no Safety devices, which are part of EU legislation on an automated garage door. 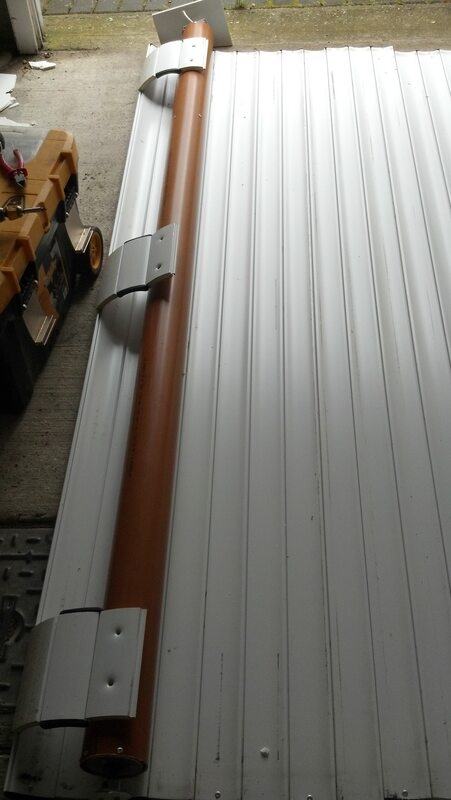 Alarm bells should ring if you see an advertised price of an automated roller door for approximately £800 inclusive VAT FITTED, at least if you have read this, you will know what you could expect, or at least ask the correct questions to safeguard yourself against such shoddy products and workmanship. If you are in any doubt or want further information before you make a costly decision, please contact us first. For all your Garage Door, Pre Cast Concrete Garage and Composite Entrance Door needs. Sorry to post a question about a competitor of yours on your website, but I am hoping you can help. I had a door fitted by a company called Seguro which looks like the one you have pictured above. I have been having trouble with my door not opening on the motor, but it is closing perfectly well with the motor. I have tried numerous times to contact the installing company about the problem, but so far I have not had much help, could you please help? Many thanks for registering and contacting us. I have sent you an Email to your registered Email address to hopefully try and sort out your problem. Just a quick update on this Type of door. This year alone, we have removed 12 of these doors to replace them with a new door, the doors have been within the age range of 4 months (!!!) to 3 1/2 years and were all installed by the same company. If we have removed this number, it really makes us wonder how many have been replaced by other reputable companies? Please be careful when you make your decision, as it does make for a costly decision for a lot of people. We received a call today from another customer who had one of the above doors fitted around 3 years ago. From the telephone conversation, the lady said the door had fallen down and just missed her. She called the company that fitted the door, and was abruptly told that they would not be calling out as she had not purchased the 10 year guarantee, so she contacted us, and we advised the best course of action was for us to call out and see what exactly we could do. 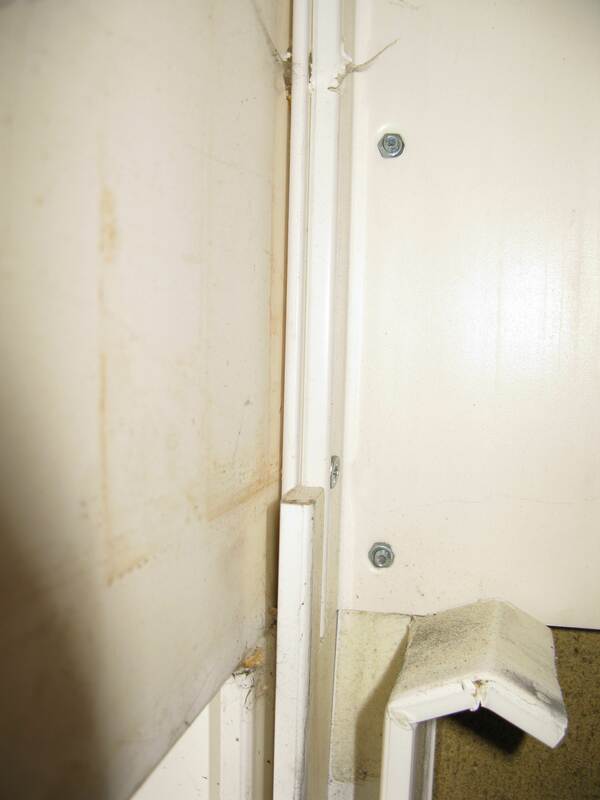 I have advised the customer to contact the local Trading Standards office to report the company (and would advise the same to anyone also, who has these issues with this company) as the door/fittings are not 'fit for purpose', and has been proved. If this door had fallen on top of the lady, I would not like to think what injuries may have been caused ! 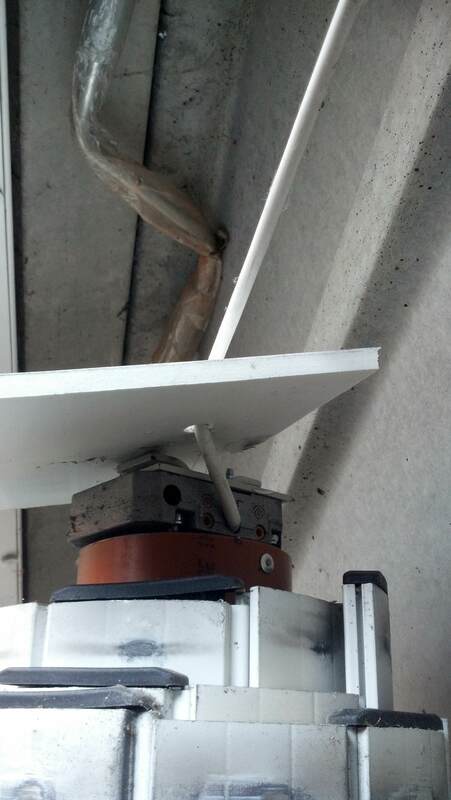 It proves the point I made further up on this thread about the end plates not being able to support the weight of the roller curtain, this has now been proved. When we dismantle this door, I will make sure that we catalogue its removal. Please be aware of any garage door company offering electrically operated roller garage doors for as little as £799, as it just isn't possible to supply and install a decent EU compliant door for this price. A quick call to a couple of local garage door companies will confirm the difference in price for a quality product. I hope this helps and at least saves people some frustration. The company (or at least directors of the the above company) were featured on BBC's Watchdog due to dangerous and malfunctioning doors. To further this thread, the company in question has changed its name yet again, and its primary sales point now appears to be FaceBook, as they were in contravention with the Advertising Standards Agency, and had their advertising in 'Print' pulled. Please be very careful in your choice of company to supply you a roller garage door, as it seems nothing stops these culprits. The problem with all of this, is that most people don't research the problem until they encounter it, by this time it's too late to do much about the cheap installation that has been done, and the best course of action is to remove every trace of them ever being there, and start again, but this means you are 'buying twice'. If in doubt, give us a call on the number below.